We Have Listened! After lots of Request from lots of Students and Teachers, Presenting E-books of Odisha Government School's Text Books. 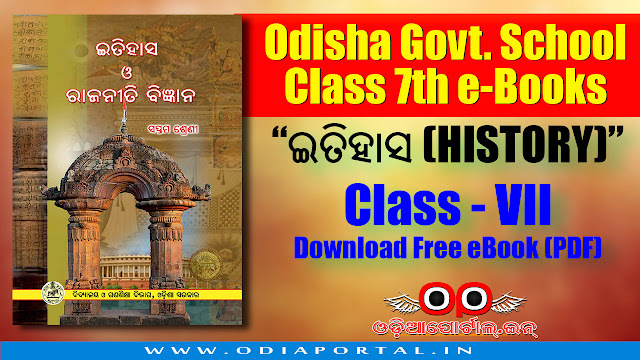 In this post you can download Class 7th (VII) History and Pol. Science "ଇତିହାସ ଓ ରାଜନୀତି ବିଜ୍ଞାନ [ସପ୍ତମ ଶ୍ରେଣୀ]" e-Book PDF for free!